Kayla Radomski's reputation preceded her- she was a very popular finalist on season 5 of So You Think You Can Dance. I was relentless in my pursuit of her before I visited Los Angeles last week. 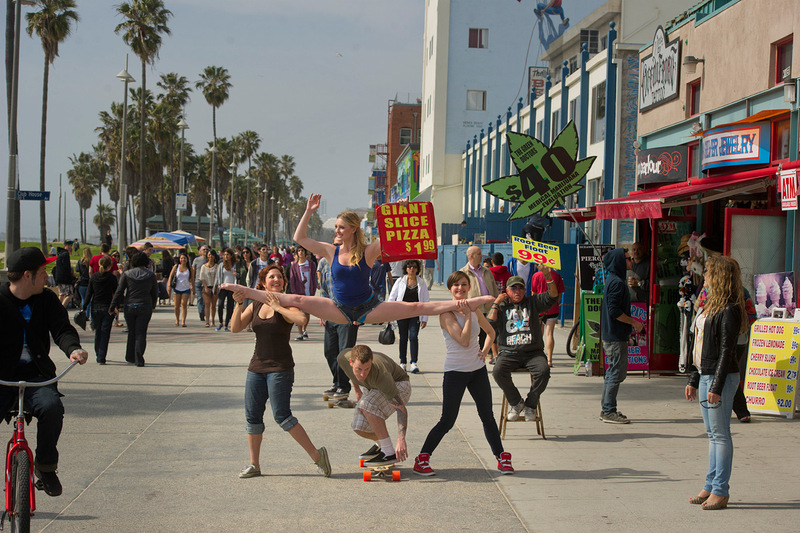 I desperately wanted to photograph her for Dancers Among Us, but I had no idea what to do with her. 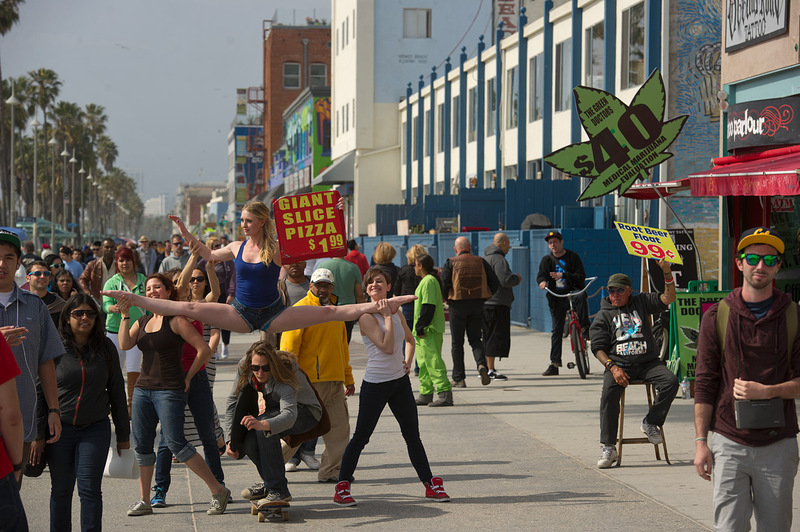 She arrived at Venice Beach in the middle of a very busy and extremely productive day. We had about 45 minutes to conceive and create a shot worthy of her talent. 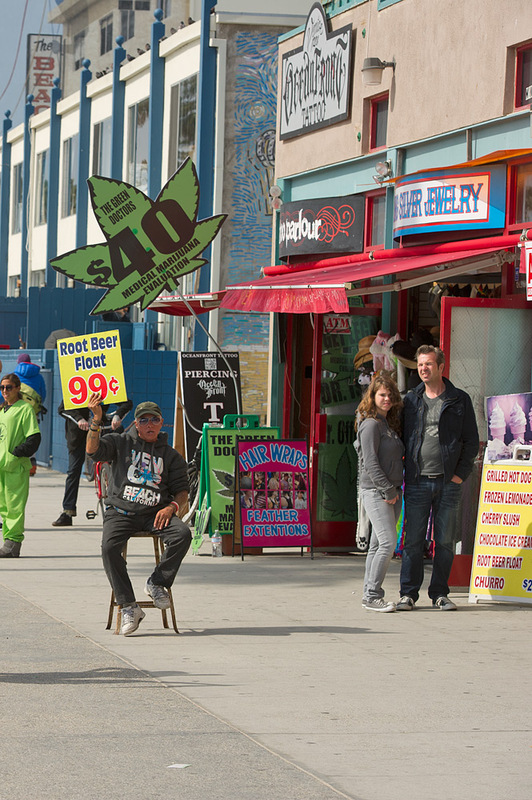 I wanted to shoot her on the Venice Boardwalk, so I looked around until I found the best spot. 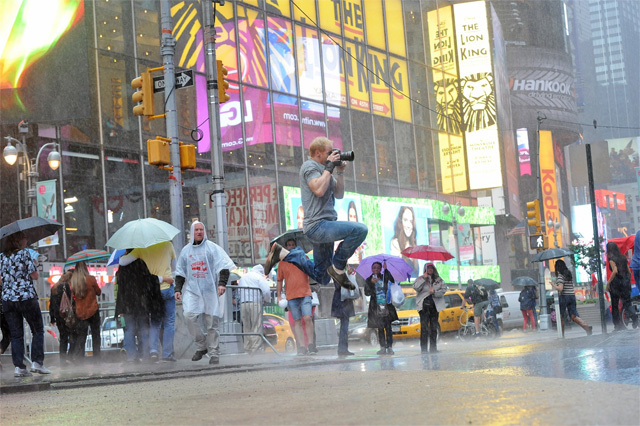 Great location for a photo! 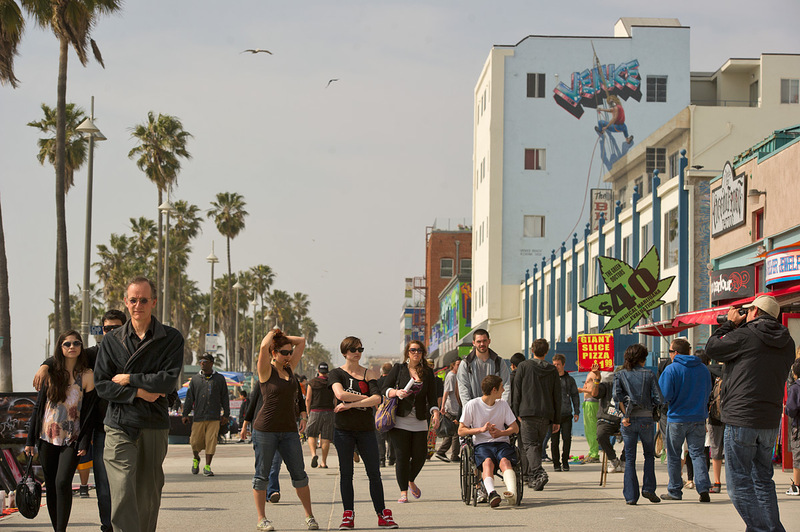 I liked the crowds of people, the Venice graffiti and palm trees in the background. 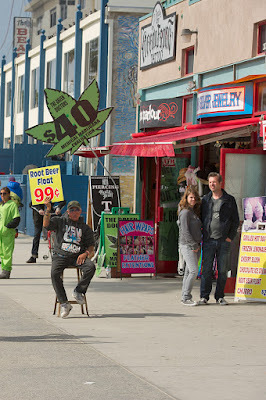 Of course, I loved the marijuana sign. Then I asked Kayla how she was feeling physically. Her answer didn't need any words. So far, so good. But what's the story? What is she doing there? I had no idea. Rollerblading, sunbathing, eating, blah, blah- everything seemed so obvious. Then I looked a little closer and discovered the answer. She's holding a promo sign. She's working! My friend and collaborator Ivy Vahanian talked a pizza place into lending us their sign for five minutes- at most! Oh boy. Fortunately, I had several more dancers waiting for me, so I recruited Laura Karlin and Mary Tarpley to hold Kayla in a split. I liked the idea of a team effort. This was no easy task for any of them, but it was worth a try! I asked Kayla to turn towards the sun and channel Vanna White. Pretty cool shot, but it could be better. First of all, I realized that it needed to be a horizontal shot. 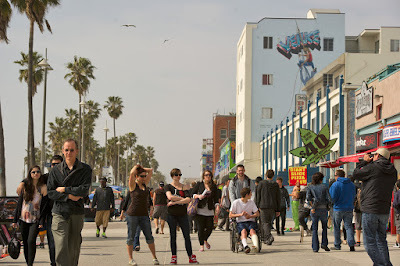 I gave up my attempt to include the Venice graffiti- it was more important to show the activity around them. Secondly, I wanted Kayla's right arm to be waving to everyone, which was almost impossible- she needed it for stability. Very cool shot. I almost loved it. There was still an element missing, but I had no idea what that was. I only knew that I had just a few minutes to discover it, so we tried again. And something magical happened- about three seconds too early. A skateboarder cruised underneath Kayla's legs before she was ready. Damn! That was it! That was the unexpected element I needed to complete the photo. Where could I possibly find another skateboarder in the next two minutes? 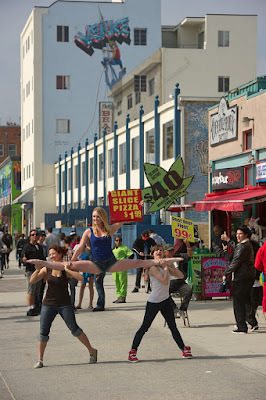 Oh right, this is Venice Beach- it's like calling Central Casting. Within thirty seconds we found the perfect volunteer. He hit his mark just as a bicyclist turned to look at Kayla, and right before her hamstrings screamed out in protest.